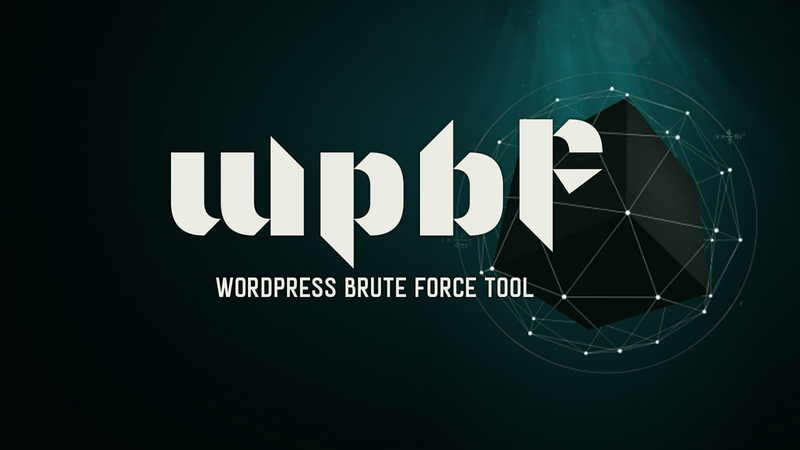 wpbf is a Python-based bruteforce tool for remotely testing password strength, username enumeration and plugin detection on a WordPress site. The script will try to login to the WordPress dashboard through the login form using a mixture of enumerated usernames, a wordlist and relevant keywords from the blog's content. If a single username is given, the script will not search for additional usernames. When a correct username/password is found, it will be logged and shown in the standard output. For faster results, you can spawn threads but BE CAREFUL not to flood/DoS the site. Default settings can be changed in "config.py" and "logging.conf" files. The wordlist must have one entry per line, a small wordlist (wordlist.txt) and plugin list (plugins.txt) are provided for testing purposes. Note: It requires Python 2.6+.